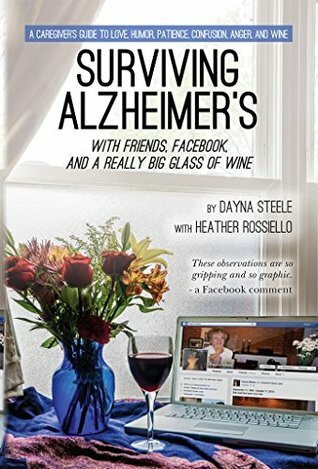 With unfiltered observations and sometimes dark humor, author Dayna Steele chronicled her mother's journey with Alzheimer's on Facebook. This collection of Alzheimer's updates posted on the social media network includes biting humor and raw emotion as Dayna carries you from the diagnosis to the inevitable end. Also included are sections from a neurologist, Long Term Care insurance specialist, other caregivers, documents expert, elder care attorney, and an assisted living advisor. This is a journey way too many of us are going to experience in one way or another. If you have to experience Alzheimer's and chances are you will - do it like Dayna with love, wit, and wine. 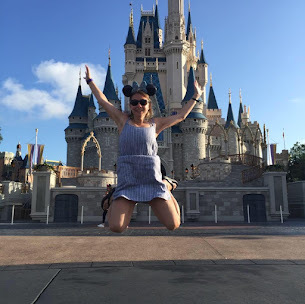 I would never pick up a book about Alzheimer's or even think about reading about someone's story through the decline of their mother's journey, but Dayna writes with such grace and humor as this is a collection of social media updates she posted. Not only do we get the humorous side, we also get the dark and intense emotion of how this neurological disease takes one's mind. What makes this book unique is how Dayna carried her mother's story out on Facebook for a platform of people to join in to her world with people showing up and liking her posts. This book is gripping and sad all in the same. This book all touches each of us in some way. Either we know someone who has experienced this or we know someone else who has gone through this. Overall, this book is a resource filled with sections on long term insurance information, elder care attorney, assisted living advisors, document experts, neurologists and so much more. This book is a resource and it also is a great way for people who are going through this journey to know they aren't alone. I give this book 4.5/5 stars. Thank you to PR by the book for providing me a complimentary copy for review.